Thread + Colour explores a new take on the traditional world of textiles showcasing the work of 21 International and Australian at the William Street Gallery, 14 William Street Paddington this week 23rd of April to May 1st. 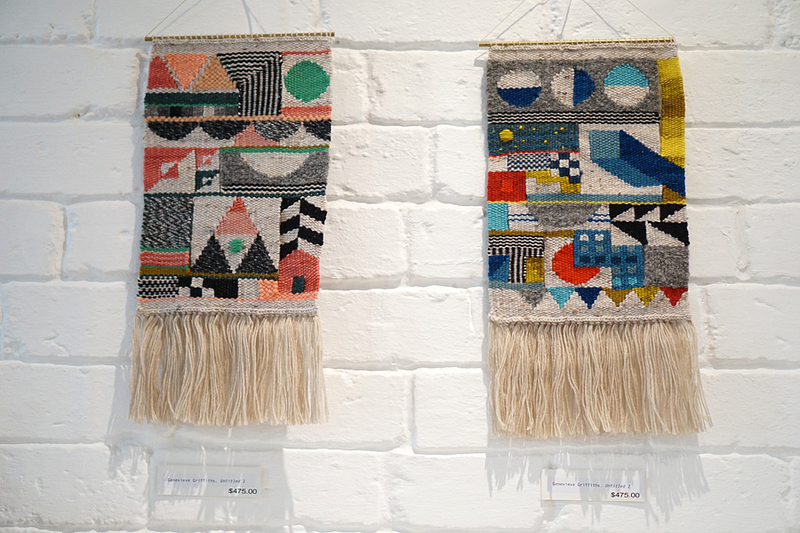 With the rise of technology many of these artists are turning to the tactile, hands on experience of the handmade, whilst transforming old world textile traditions into stunning contemporary art works. I was honoured to have my work showcased alongside so many wonderful pieces from Australian and International artists including Natalie Miller, Hariett Goodall, Liz Payne, Genevieve Griffiths, Jacqueline Fink and Katikaart to name a few. To appreciate the beautiful colours and textures of the works, not to mention the sheer scale of some, they need to be viewed in person to take in the full experience. Don't take my word for it, head along and get your art and culture fix this week, pick up some gorgeous hand dyed wool from artist Natalie Miller along with the full range of yarns from KPC Yarn and see what is happening in the art world right now. I promise you won't be disappointed! Artworks from the exhibition are now available to purchase via the KPC yarn facebook page or email Ingrid Keneally ingridkeneally@gmail.com for the full catalogue of works. 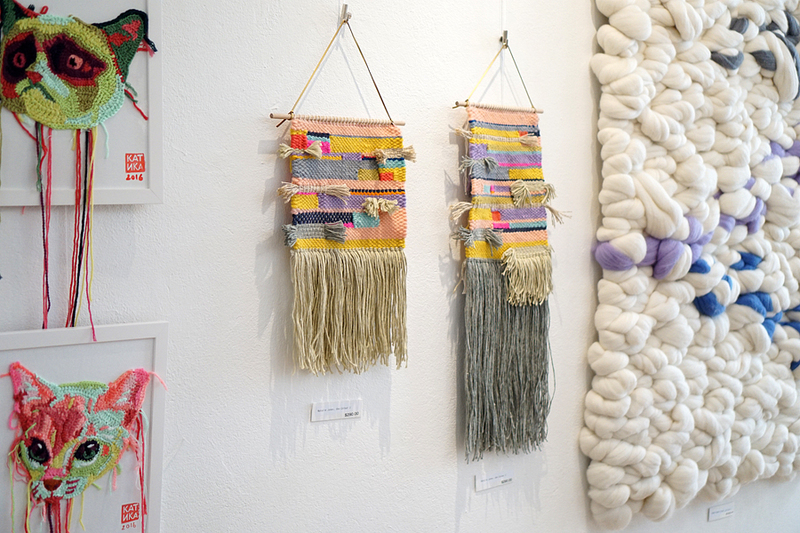 Thread + Colour is an exhibition by KPC Yarn, Natalie Miller and Style Brief Hong Kong's Ingrid Keneally. All Images by Natalie Jones 2016.